This letter was written by anti-apartheid struggle veteran Laloo Chiba to President Jacob Zuma last year. It is being released now following a decision by the Chiba family to make it public. Chiba died on Friday after a short illness. 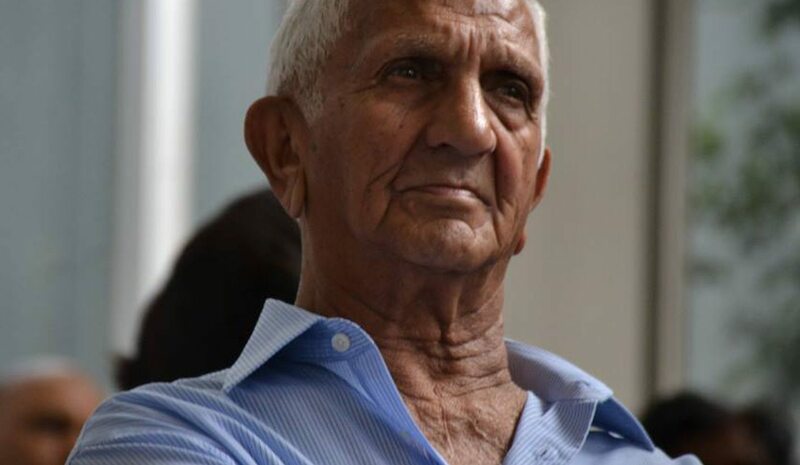 My youngest brother, Govind “Chips” Chiba, left the country in 1957 in order to study as an aeronautical engineer at London University, because only whites were permitted to do so in South Africa. Having graduated, he headed a team at Rolls Royce, developing computer programmes for the design of jet engines and helicopters. He gave up his prestigious job in the 1970s, and worked full time for the ANC in exile. He established a secret communication network between the ANC in exile and the internal ANC underground. Later, he served on MK’s National Ordnance – HQ Committee responsible for moving ANC military equipment to forward areas in neighbouring African states. He returned to South Africa after the unbanning of the ANC, and worked for the National Intelligence Agency. He passed on in 2003. His life-partner, Louise Colvin, left Zimbabwe for Lusaka in 1985, and served in MK’s Special Operations Unit, MK Ordnance and the Arts and Culture Section of the ANC. Raman Chiba, the elder of my two younger brothers, fully supported my involvement, and with the rest of the family, undertook to support my wife and three daughters when it became necessary. I became politically involved in the campaigns of the Congress Movement and of the Transvaal Indian Congress in the latter half of the 1950s. I joined the banned South African Communist Party in 1960, and was a member of Umkhonto weSizwe in December 1961. I was among the five accused with Comrades Wilton Mkwayi, David Kitson, John Matthews and Mac Maharaj in what came to be known as the Little Rivonia Trial, and was sentenced to 18 years imprisonment. After the democratic dispensation of 1994, I served as a Member of Parliament from 1994 to 2004, when I declined to stand for re-election. Comrade President, although much has been accomplished under your watch in the past, I am of the view that the developments during past couple of years in general, and during recent weeks in particular, are deeply disturbing. The main topics of discussion at weddings, funerals and at social gatherings include: the mind-boggling dismissal of Comrade Nene and its financial implications; the running battles with Pravin Gordhan; the disturbing allegations of the capture of state power; the activities, power and influence of the Gupta family in the political life of the ANC and that of the government; pronouncements of the Constitutional Court; the Nkandla debacle and the running battles with the Public Protector; and the dire state in which our organisation consequently finds itself. Many have openly stated their refusal to continue supporting the ANC; or their intention of terminating their membership, or of not voting in the forthcoming local government elections and so on – all to the tremendous benefit to opposition parties. Increasingly, it has become more and more difficult to defend the organisation and to justify the actions of the government. This appears to be the mood amongst many in relation to the current state of affairs. Such sentiment is clearly undesirable. The crucial question therefore arises as to what is the way forward. A variety of solutions to this crisis have been proposed in a number of initiatives that have been undertaken – among them that the President should call it a day and step down with immediate effect. I support those who have made this call. While such a call on its own cannot resolve the myriad challenges facing the ANC, I am of the view that it nevertheless has the merit of constituting an important beginning to the much needed and difficult process of revitalising our organisation, and restoring it to its former glory. Such a beginning is bound to go a long way in instilling our people with a sense of renewed hope and confidence in our organisation and in the future. It is on this basis that on behalf of my family, I appeal to you in all sincerity and humility to step down with immediate effect in the interests of our country, our organisation and our people.